If you’ve been around here for any amount of time you probably know that I love setting goals and I’m intentional about reaching them. The week after Christmas is my absolute favorite week of the year. It’s the week I get very reflective and I look back at the year that’s wrapping up. I look at the decisions I made and the person that I became because every year brings you into a new season... into a new piece of who you are. I look ahead to the coming year. I dig deep and find the answers to the questions, “Where do I want to go this next year? What were the problems with this past year? What were the triumphs? Instead of setting resolutions, I usually pick something (like a word or an intent) I want to focus on. For 2018, my intent was to “enjoy.” I really had it on my heart that the Lord wanted me to rest and relax after a year and a half of hustling hard to grow my business. It was time to sit back and let myself be restored, quiet that hustle a little bit, and just enjoy what I’d built and the life I’ve been given. And so, that was the intent I set and headed into 2018 focusing on. I think it’s really, really easy to abandon your goals and intentions for the New Year once it’s not the New Year anymore. On January 1st, you have this grip of control over the coming year because it hasn’t happened yet. But life is chaotic and ish happens. Things out of your control take place. I get that. But I really believe we can live our lives with purpose on purpose. I really want to live an intentional life of trust in the Lord, but I also don’t want to be a person who sits back and lets things happen to her. If you’re reading this and you’re thinking, “Yes, Allie! That’s what I want but I just get so bogged down by life…” Let me tell you about three (unique) ways you can start and finish the year with intent. It’s so easy – when you’re in the middle of life happening to you – to forget the goals you set at the beginning of the year. The difference between people who reach their goals and people who just set resolutions is how often they check in. By revisiting your intentions throughout the year, you are setting a pace for yourself to actually achieve what you set out to achieve on January 1st. Take time each quarter or at the very least halfway through the year and ask yourself, “Where am I? Am I living out my intent? Did I forget about it? What can I do to get back on track and intentional with where I wanted to take myself this year? Once I ask myself these questions, I’ll take a week or two and look at my life extra closely and think about what’s on my calendar, my to-do list, my Trello boards? What’s going on my life, my business, our homeschool? What am I spending my time on? I’ll put it all under the microscope and ask myself if everything is aligned with what I’m supposed to be focusing on this year. Then I’ll make decisions. Like I said, in 2018, my intent for the year was to “enjoy” my life. So, one example would be that I realized that I never hang out with my best friend anymore and I miss our coffee dates. So, I decided that I’m going to text her and see if we can set up regular coffee dates again because I’m really not being intentional with my friendship with her and our friendship is something I enjoy. It can be little things like that or it can be bigger things that you notice are really sucking your energy, draining you and making you not able to live with the intent that you planned for this year. Usually there are things that you realize aren’t working with your goals. They’re not allowing for your intent but you think if you change them, you’ll let other people down. Maybe you’re afraid of what people will say or think. Or it may even be scary for you to let go of things because they’ve been a part of your life for so long and you’ve attached your identity to them. But let me tell you that you’re going to have to edit things if you want to accomplish your goals. We all start out with a lot of goals that are really great. Things that would be so good and so productive. But halfway through the year, we may realize that they didn’t really line up with our focus for the year. I encourage you to revisit your goals. Do they reflect what your original intent was? Let go of things - even good things - if they’re not serving your purpose. Just because they’re good things, doesn’t necessarily mean they’re good for you right now. Maybe they will be later. Intentionally checking-in is the difference between people who actually reach their goals and people who just set resolutions from “fresh start syndrome” and then walk away and head back into their normalcy. I created a worksheet that will help you guys do this for yourselves. It’s really prompts that will help you reflect and ask yourself if you’re on track to achieve your goals and live your intent for the year. You can do this on your computer or you can print it out and fill it out, pen and paper style. I’ve been doing this for years and I know what questions you need to ask yourselves to get intentional! i want my free worksheet! I want to help you take action on this. it’s so important. You’re really going to see a difference in yourself. You’re going to know who you are, where you’re at, where you want to go and exactly what steps you’re going to take to get yourself there! This is your year. This is the year you set goals and actually follow through. Drop the ish, girl and let the badass, wonder woman (you really are) break through. 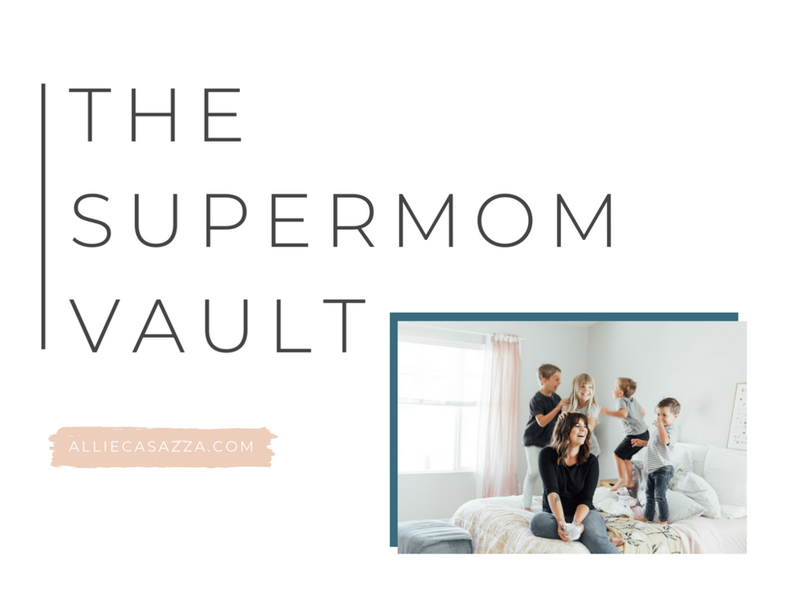 i want to be a supermom!